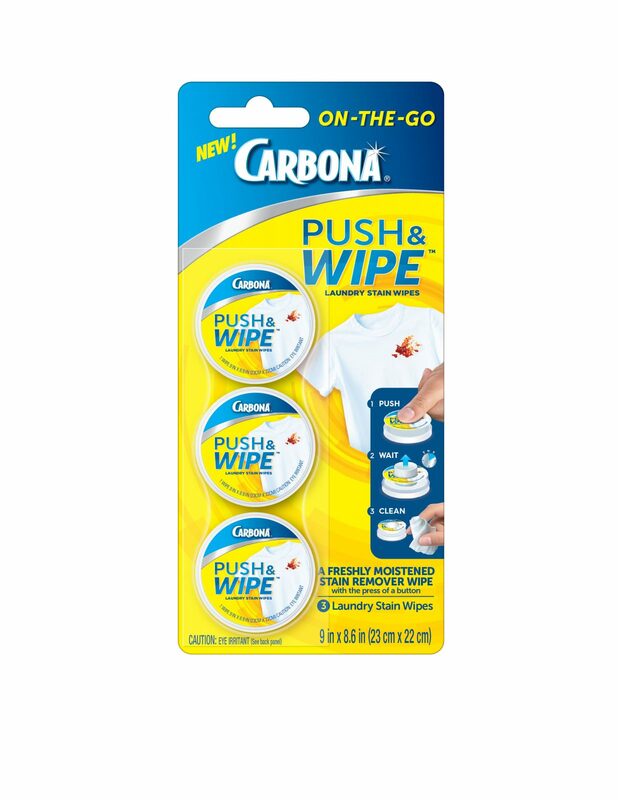 With Carbona® Push & Wipe, effective laundry stain removal on-the-go is as simple as a “push of a button”. Our unique package design will give you a freshly moistened wipe every time—No more dried out wipes or stains pens when you need them most! Store in handbags, purses, backpacks, or where fresh food and drink stains are most likely to occur. 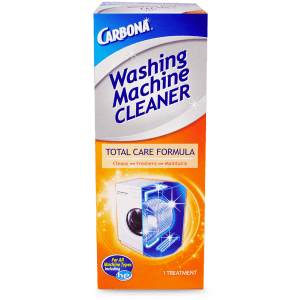 Carbona Push & Wipe Laundry Stain Wipes are terminologically tested and safe on skin. Product Size - 3 ct.
What can I use the Push & Wipe on? Push & Wipe is safe for all colorfast and washable fabrics. DIRECTIONS: Push perforated firmly with thumb to release formula into the wipe. Wait 10 seconds until wipe is completely extended before removing and unfolding. 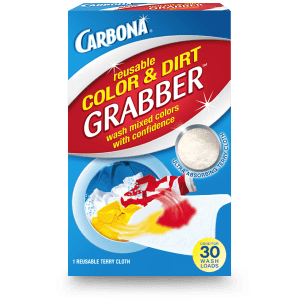 Dab stain using gentle pressure. Remove excess formula with a clean damp cloth. 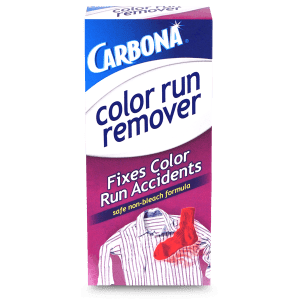 IMPORTANT: For all colorfast and washable fabrics. Test for colorfastness on an inconspicuous area of fabric before use. Always check garment care label. For large stains, place a paper towel or cloth beneath stain to absorb stain residue. May not work well on ink stains. 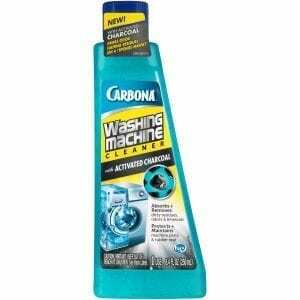 Do not expose to heat or store at temperatures above 100 degrees F. For stubborn stains use Carbona® Stain Devils®. Keep packaging for reference.